September is a tough month to handle mentally. It’s “back-to-everything” month for most of us, which comes with the realization that our leisurely summer schedule is coming to an end. 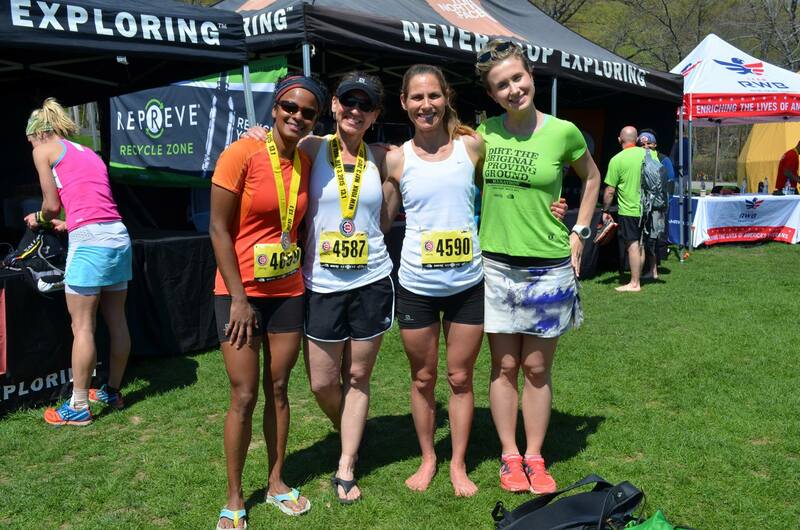 For many runners, it’s also the beginning of the end of a running or racing season. 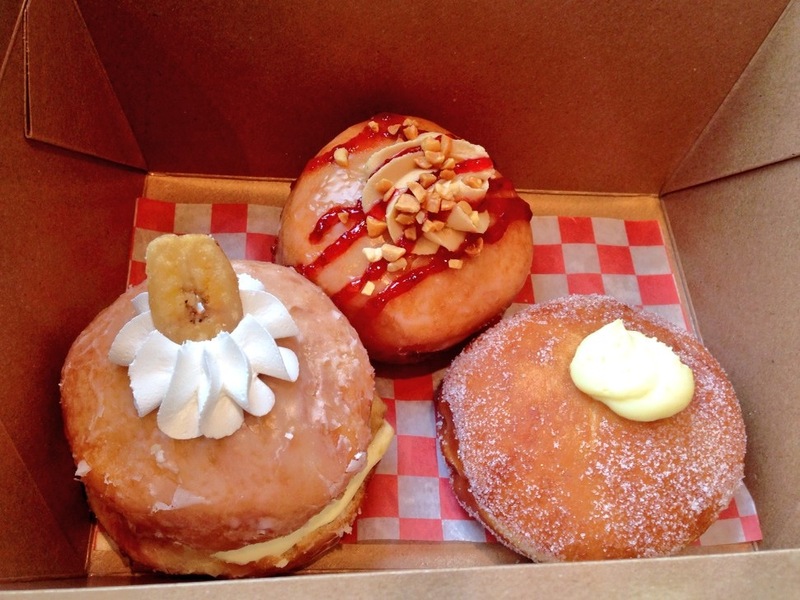 A bittersweet time when many go into hibernation mode and tend to overeat as though carbo-loading is a good nutritional practice to upkeep. This year, I have no intention of repeating the same hibernation routine! That said, I want to give my body a break and prepare myself strategically, mentally and physically for next year. So, I reached out to Jenn Faraone, a friend and a stellar trail running coach, for advice on what to pay attention to when looking back and analyzing your running accomplishments and routines. Rather than thinking of it in terms of the ending of the season, I prefer to view it as a celebration of the accomplishments, learnings, and a time for renewal. This process begins by reflecting on your highlights, reviewing some of your lessons learned and offering TLC to your tired body. What Are My Highlights and Proud Moments? Which aspects are you most proud of? Don’t limit this to just performances. 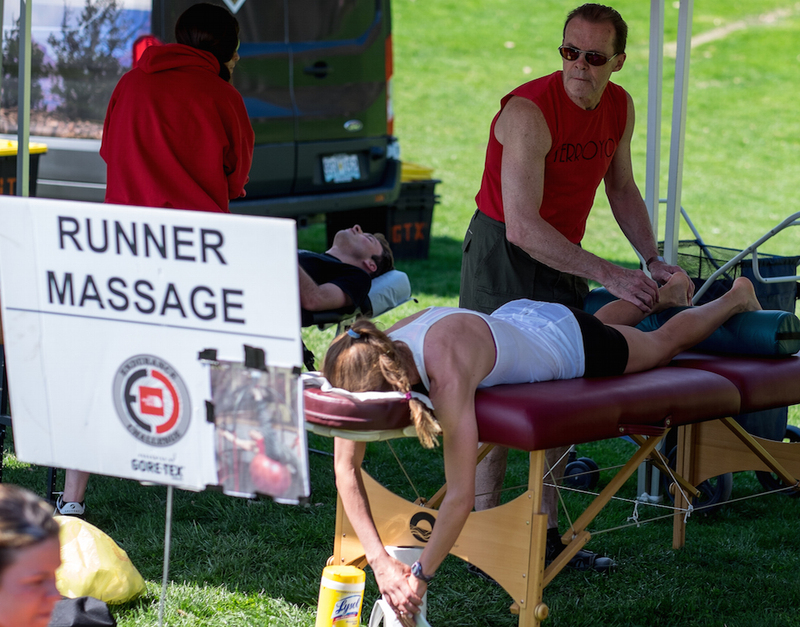 Look at aspects such as finding a way to finally overcome pre-race jitters, getting your pre-race nutrition figured out and getting enough sleep. b) find new ways to embrace the not-so-great parts. Was there a particular type of event that you favoured most? This is an important piece, as it’s easy to get caught up in doing the same thing. 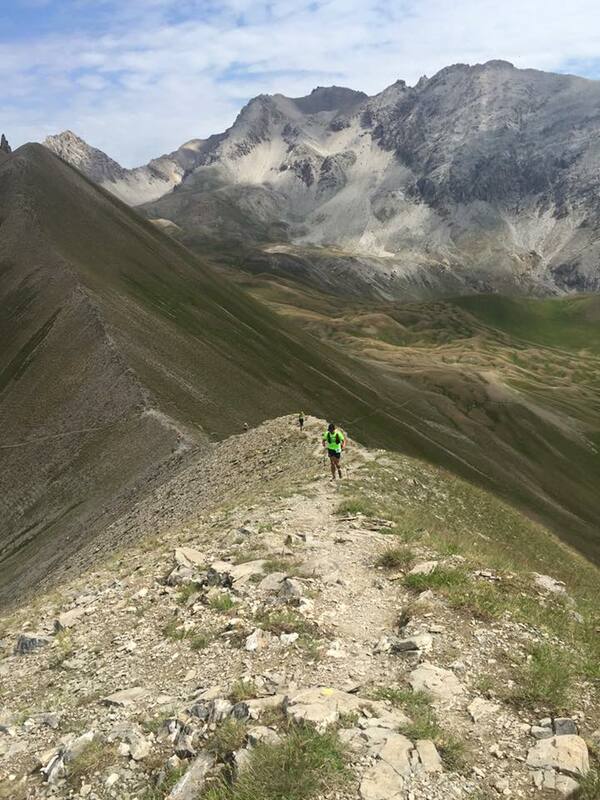 When I did this, I realized that trail running was always my “happy place” whereas duathlons came with more stress. So, I decided to focus on trail running for a year and pause my participation in duathlons. Nobody’s season ever goes 100% as planned, nor is there ever the perfect plan. The best plan is the one that evolves to meet your changing needs. Furthermore, most of our learning comes from the act of “doing”. This is why it is equally important to take time to reflect on your key learnings from the past season to identify areas for improvement and act upon them accordingly. Which aspects of your training did you struggle with the most? Take a few more minutes to think what caused the struggle. Think back to your race executions: Did you follow your plan? Did you tend to go out too fast? Don’t limit your learnings to just running – think about nutrition, rest, cross training, and strengthening. What did you learn about yourself? Can you push yourself if doing a workout solo, or do you succeed better when training with others? Can you motivate yourself to get out the door or do you think that you would respond better to having a coach? What’s in Need of TLC? What type of aches and pains did you experience? Can you identify any patterns for when they emerged? Would a sport professional be able to help pinpoint the underlying cause of your nagging symptom? What can you do to treat your tired and worn out body? More frequent massages, stretching, proper nutrients? Giving a moment to reflect on one’s body is often overlooked yet so important, especially if you want to maximize enjoyment and performance in the long run! Even if you are one of those rare runners that didn’t experience any of this, your body still deserves a break following the months of hard work. The off-season is the perfect time to take a look at things more closely, and to give your body some tender loving care. So don’t neglect this important step! 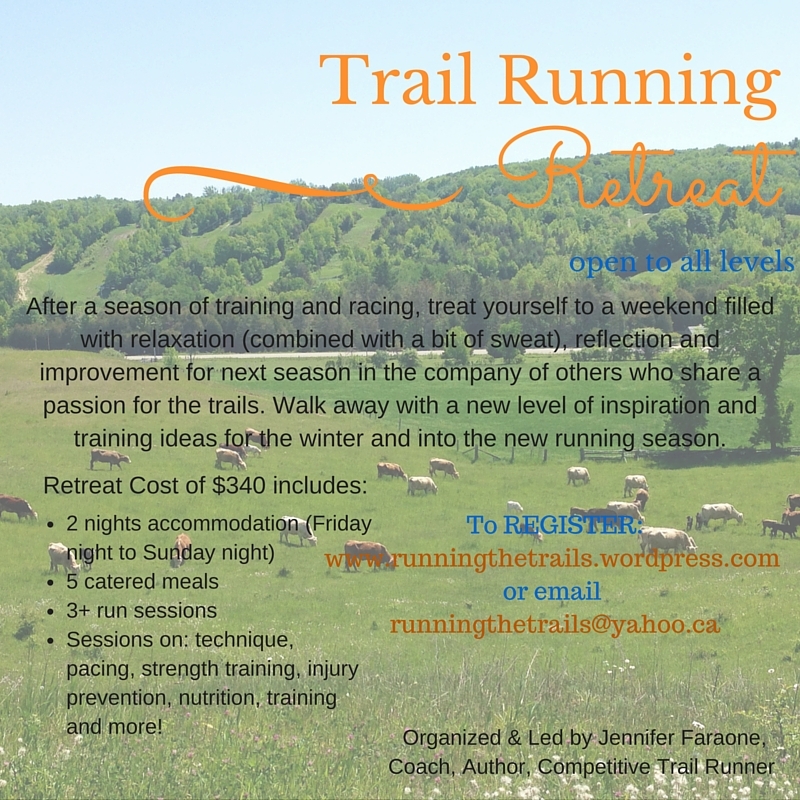 Trail Running Retreat Alert! A Solution to a Stronger Running Season Next Year.